Chonic Fatigue Syndrome is characterised by a general feeling of lethargy. In the first instance, patients in Brisbane will generally consult their local GP for an assessment. Chronic Fatigue Syndrome (CFS) is a disorder characterized by an extreme feeling of tiredness that cannot be explained by any medical condition. Physical exams and blood tests conducted almost always turn out normal. Apart from these tests, the diagnosis of CFS is usually made by the general practitioner (GP) by looking into the patient’s medical history. The feeling of tiredness may worsen through physical or mental activities and does not improve with rest and the person afflicted with CFS may not function normally day in and day out. Viral Infections. The occurrence of CFS is usually triggered by a viral infection, but it remains unknown why CFS develops later in the process. Say, for example, influenza. Anyone who acquired influenza may feel sick for a few days and feel tired days after even the virus has left the system of the patient. However, it is important to keep in mind that the virus has already left the body of the patient when CFS develops. Problems with the Immune System. Individuals with CFS appear to have slightly impaired immune system. However, it remains unclear if the condition of the immune system causes the disorder. Hormonal Imbalance. Individuals experiencing CFS also sometimes experience imbalanced hormonal levels produced in the hypothalamus, pituitary glands, or adrenal glands. Similar to immune system problems, its significance in causing CFS is yet to be discovered. 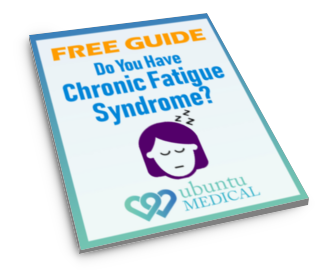 What are the Risk Factors of Chronic Fatigue Syndrome? Chronic Fatigue Syndrome may occur at any age, but it usually affects individuals 40 years and older. The incidence of CFS is common in women than men although women are more likely to see a doctor compared to men when symptoms become present. Having difficulties in managing stress can contribute to CFS. 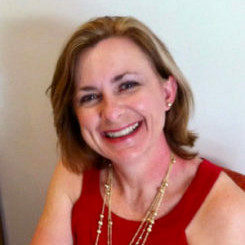 Which Doctor Should I See for Chronic Fatigue Syndrome? If a person suspects having CFS, it is best to see a GP. The GP will recommend having physical and blood tests done. He or she will also ask about the patient’s medical history. It is also important to be aware that not all GPs and health care providers have CFS programs in place. It will be best to do some research to find the health care practitioner who can alleviate the CFS symptoms.